Are you struggling with blocked drains? It’s always best to use a professional to deal with those difficult drain cleanings. 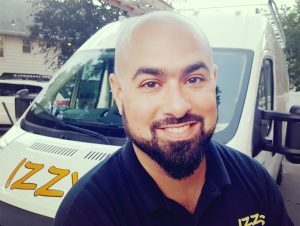 The staff at Izzy’s Plumbing are expert in removing blockages to drains. Whether your problem is a clogged sewer drain or your sink is blocked, you will get the professional service you need to deal with your problem quickly. Friendly, affordable and local. That’s the way to deal with your drain cleaning. Give us a call for an estimate and get things fixed quickly.